Tri-Sorb Carbon Box Filters are offered in a variety of styles and configurations to fit any budget or application. 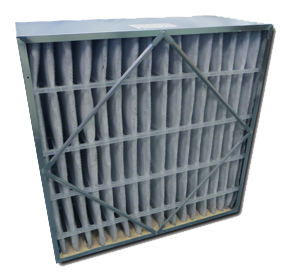 TRI-SORB R offers both gas phase and particulate filtration and offers header and box style frame configurations. TRI-SORB XL filters utilize carbon surface area rather than weight to increase the removal efficiency. The TRI-SORB V filter is a V-Cell gas phase filter that has it all – a large quantity of carbon (36 lbs in a 24x24x12), low operating resistance (0.50” W.G. @ 500 FPM) and easy retrofit into current systems with three frame styles to choose from. Contact Columbia Filters for more details.